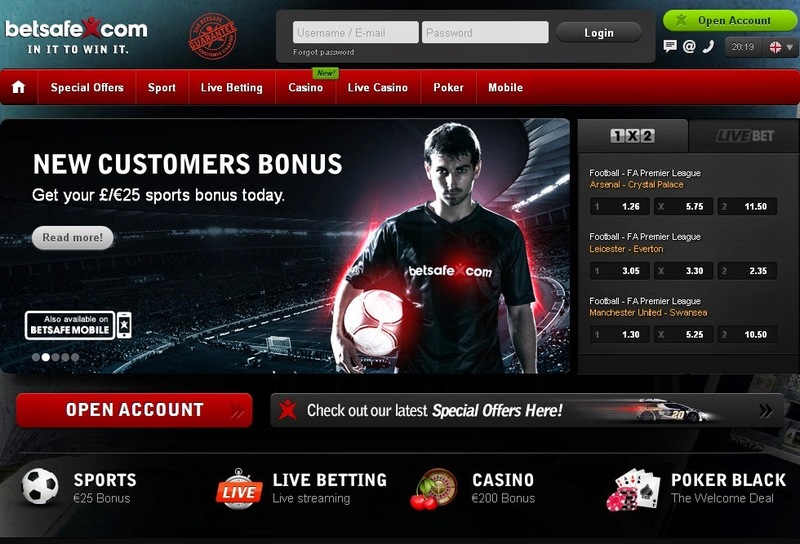 About Sportsbook One of the leading suppliers of online gaming products, BetSafe was officially launched in January 2006. They have over 500,000 customers from over 100 countries, specifically targeting the Scandinavian market. While the sports that BetSafe offers are varied, they give focus on the sports that Europeans care about. Apart from the standard offers (football, ice hockey, tennis, basketball) one can find such rarities as chess, pesapallo, snooker, beach soccer, mixed martial arts. 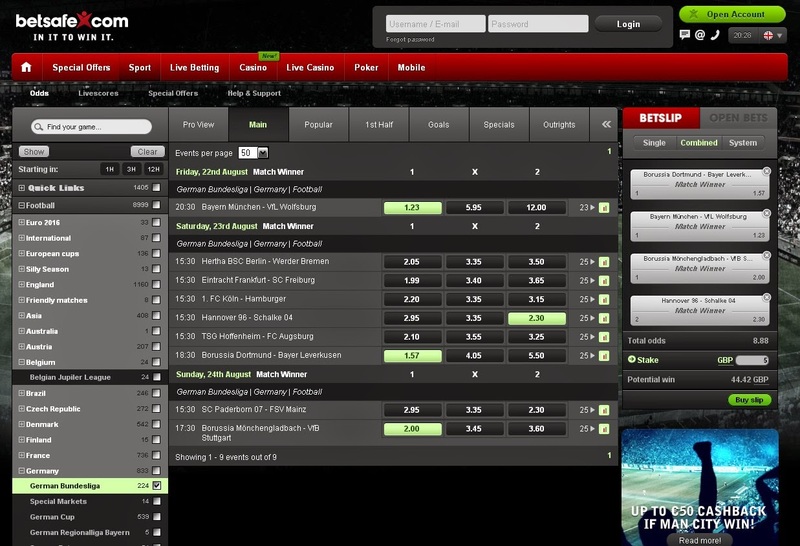 The bookmaker also offers bets not only on sporting disciplines, but also on political, cultural events and the weather. 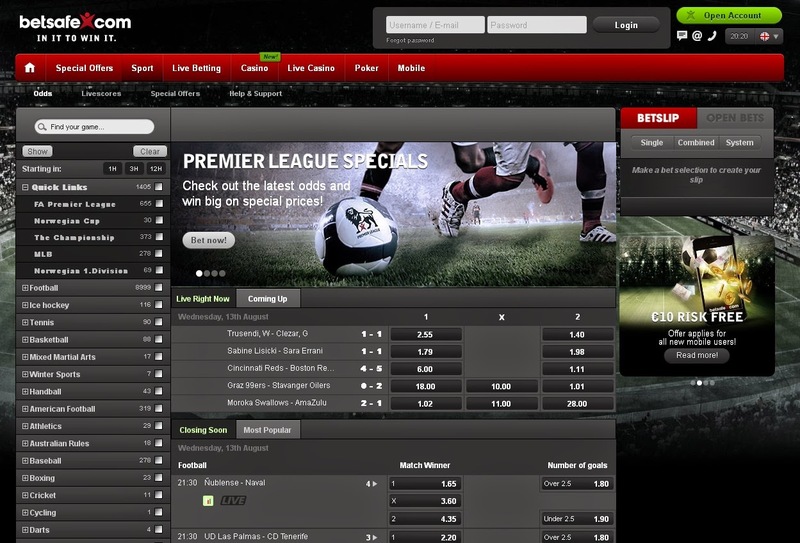 BetSafe also allows their customers to bet in a variety of ways including group betting, head-to-head betting, halftime betting, tripplehead, handicap, match, moneyline, totals, grand salami, and props. The minimum bet is €0.1 while the maximum amount that anyone can win is €100.000 a day and €500.000 per week. Aside from being a reliable online gaming company, BetSafe takes pride in their customer service which is available 24 hours a day, 7 days a week. Their support team can be reached through e-mail, live chat and telephone. You should pay attention to the replies which are given promptly and are guaranteed by the bookmaker. In case no response is received within 15 minutes a fixed amount of money will be paid to your account!